One of Chicago’s leading boutique litigation and commercial law firms specializing in commercial business litigation, including partnership and real estate litigation matters, as well as family law. Alfred S. Alschuler in 1912, The Thompson Building is one of the most historic buildings in River North. One of Chicago’s leading boutique litigation and commercial law firms specializing in commercial business litigation, including partnership and real estate matters. Welcome to the Bernstein Law Firm website. I am honored to have the opportunity to introduce my team and explain our commitment to our clients and community. To our existing clients, I would like to say thank you for your support and confidence. To our prospective clients who may be viewing this website for the first time, we look forward to earning your trust and exceeding your expectations. We welcome you to browse our site and learn more about our team and areas of proficiency. We know that clients have a choice when it comes to legal services, and it is incumbent upon our team to prove each and every day that your confidence in us is well-placed. The approach is simple: Big firm experience and expertise in a boutique-sized firm. We put our 100% focus on every relationship and result, not feeding the corporate bottom that is so prevalent in today’s conglomerate-sized law firms. 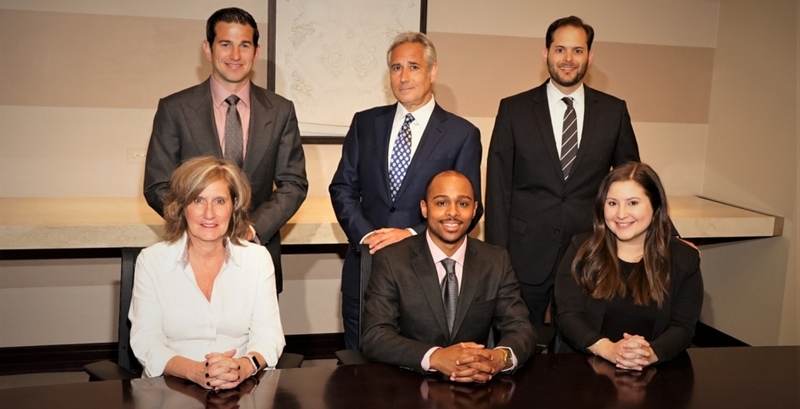 The Bernstein team is comprised of dedicated and disciplined attorneys with over 100 years of experience in various areas of law, focusing on complex civil litigation involving commercial business matters as well as family law. Members of the Firm have represented clients in over thirteen states from New York to Hawaii, including appeals in the United States Supreme Court, Federal Circuits, and Appellate Courts. Our roster of clientele ranges from Chicago entrepreneurs to Fortune 500 companies, from the average business dispute to those “bet the company” cases involving claims and damages in the hundreds of millions of dollars. Bernstein Law Firm’s success stories are equally diverse, comprising local clients such as Friedman Properties and Lettuce Entertain You to American corporate institutions like JPMorgan Chase, Pepperidge Farm, and Bumble Bee Foods.